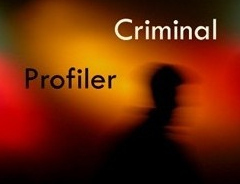 To define the Psychopathic Offender as someone with a tendency to control is nondiscript and misleading - if the aim is to postulate a profile. Control is the direct result of the offenders overwhelming desire to DOMINATE ~ this is what he fantasizes about and this is what his modus operandi and ultimately his profile will be based on ~ how did he gain control over his choice of victim sow that he could execute his choice or brand of dominance (he defines the parameters and the interpretation of dominance). Ultimately it is the achievement of total subservience of the victim that gives the exhiliration of the hunt , therefor TIME, PLACE and CIRCUMSTANCE must lend it to the occasion. The Devil is known in the details. Everything about the CRIME, SCENE, VICTIM comes into play and into focus, every shred of evidence is the marker, the indicator, the voice crying out in the darkness. Investigators of crimes of this nature need to have a degree of emotional and mental competence to confront these offenders on their terms with the same level of FEARLESS CUNNING ARROGANCE, capable of unrestrained and unrestricted cognitive prowess to dominate the investigation ~ UNEMOTIONAL UNBIASED UNPREJUDICED . What is the premise for constructing the Profile? The Predator is aware of his own abilities, potential, predisposition and strong-points but he is also aware of his short-comings, inadequacies and weaknesses i.e that which will handicap him in executing his own peculiar brand of dominance. The question is therefore ~ how did he employ the former to execute the latter in order to have done what he did? Meticulous consideration of all of the above shed light on the CHARACTER and CHARACTERISTICS of the offender i.e his level of Sophistication, Qualifications, Education, IQ, his standing in his community, Race, Gender, Age, Language, Cultural background, Anomalies and Peculiarities, is he a First Offender, Arts and Crafts, Physique and Physical appearance, is he extrovert, introvert, phlegmatic, melancholic, impulsive etc. The range of question the investigator can ask in this regard stretch the imagination. Finally the Profile has to be honed in by how the victim in retrospect would have reacted, if he or she were confronted by the character. Now - compare Ted Bundy with Gary Ridgeway.